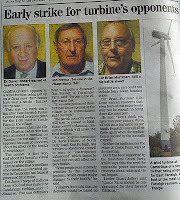 Yet another example of anti-green voting by a LibDem. 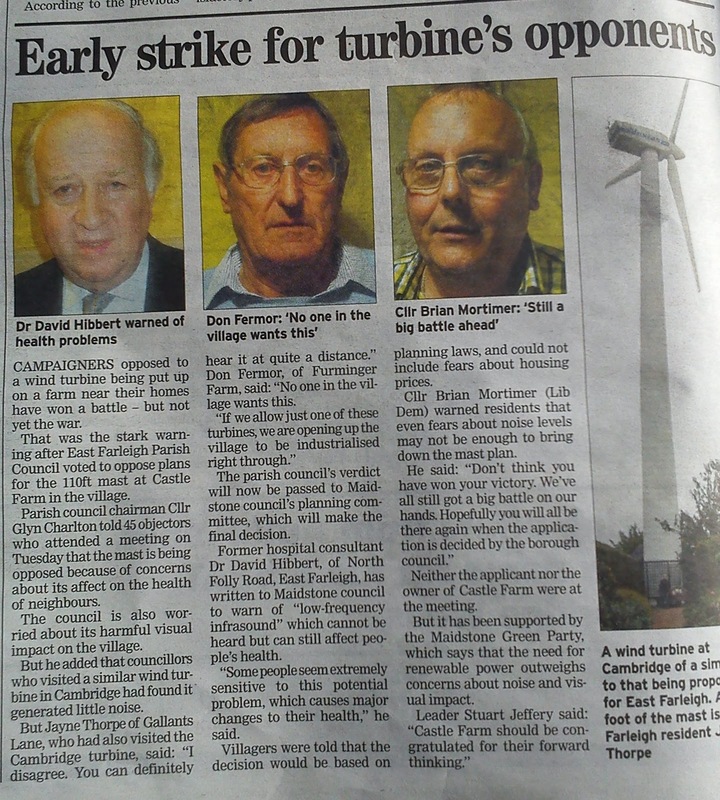 Maidstone Lib Dem Brian Mortimer is in this week's Kent Messenger voicing his opposition to a community owned wind turbine in East Farleigh. For those of you who are told by Lib Dems that they are green please think again and see how they act. They have also support airport expansion, major road building etc. Offer him a coalition and he will support anything. Interestingly Mr Mortimer attended one of our public meetings back in the summer and did not express any concerns at the time. We actually thought he rather supported the idea. Sadly the same old myths and fears are being spread by a small but vocal oppososition driven by fears over possible negative impacts on house prices. As for the suggestion that it could cause health issues... The good doctor should research his facts as the fears raised over low frequency sound were debunked by DTI studies years ago. do not support air expansion thank you. problalby have done more to oppose it than most greens . Thanks James LIb Dem.